Growing spring onions is a great way to have a very mild onion handy that can be eaten raw in salads. Spring onions are also often used as a substitute for standard onion varieties when you do not want a strong pungent taste. There are many types of this versatile vegetable. Spring onions are just one of them. Find out about the onion varieties here. Spring onions are a cut and come again veggie too, so will re-grow when harvested if you don’t remove the bulb. No vegetable gardening project is complete without some of these easy to grow vegetables. I am still using the onions (and it has been very cold here in NC lately) from my garden in my recipes and they are just full of flavor. They are closely related to green onions and scallions, but they have a distinct bulb. Spring onions are easy to grow if you follow these guidelines. Spring onions will grow from sets but are so easy to grow from seed and cheaper this way, so that is the way I grow them. They like plenty of sunlight so choose your spot well. They don’t need as much sunlight as some other veggies but do need at least partial sun to grow. I have mine in a spot that gets morning shade and afternoon sun and they do very well. Till the soil well. 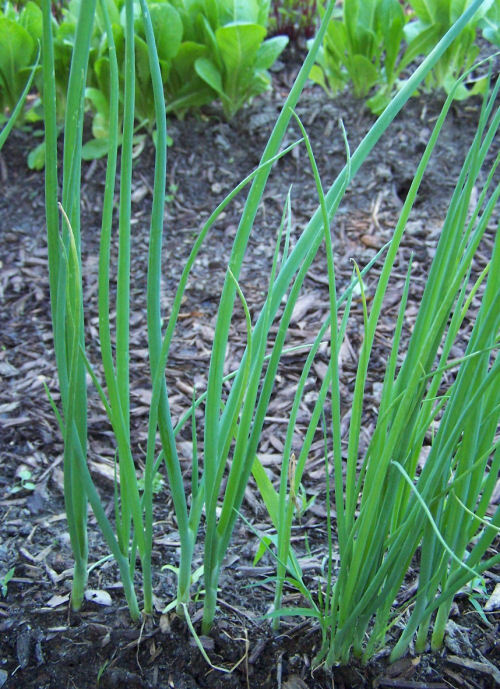 Since spring onions are a bulb, they thrive in loose soil that drains well. Amend your soil well with organic matter, digging it into the soil well. Spring onions need a PH range of 6 – 7.5 to grow. Sow seeds when the weather is moderate and after danger of frost has passed. Don’t wait until it gets really hot though, or the crop will suffer. you can continue sowing seeds throughout the season, or better yet use the “cut and come again” method. 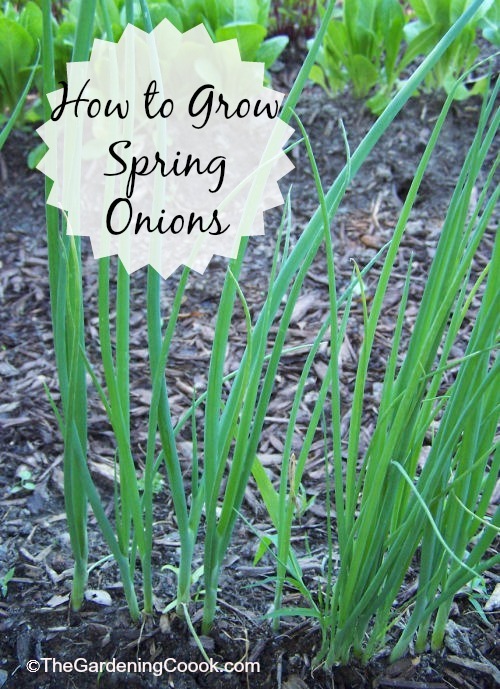 Just use shears to cut the green part of the onion above the bulb and new growth will soon appear. Keep the onions evenly moist and free of weeds. You do not want the onions competing with weeds for nourishment. Another trick with spring onions is to pull up the whole bulb and then cut off only the green part to use in cooking. Place the white bulb in a glass of water and it will sprout new growth indoors. Great fun for the kids! See more information on Cut and Come again vegetables. And see how to grow spring onions indoors here. Great tips. I’m going to plant some this year for sure. I’ve planted garlic and shallots with some success, so these should be easy. Thanks for the tips. They’re very pricey (in the UK) and come in big bunches when I only need a couple at a time so the cut and come again method sounds perfect for me. Thanks!